The J. Phil Campbell Sr. Natural Resource Conservation Center in Oconee County is caught in the middle of the budget crisis in Washington. If the federal government closes down on Friday, the Center, as a federal agency, must close. If the House and the Senate reach agreement and President Barack Obama agrees but the agreement does not put sufficient money in the budget for continuation of the Natural Resource Conservation Center, it could be forced to shut down immediately. The long-term prospects are equally gloomy. Unless Congress overrules President Obama and increases funding for the USDA’s Agriculture Research Service, the 1,100-acre Campbell Center will end its operation on Oct. 1. The 25 Campbell Center employees have been dealing with the uncertainty for the last several months. While the impact of the closing of the Campbell Center will affect the staff most dramatically, across time all of Oconee County could be impacted by its closing. The 1,107 acres held for the Center makes up a little less than 1 percent of the total acreage in the county. But just fewer than 610 of those acres are in the middle of the most densely settled part of the county east of Butler’s Crossing and north of Watkinsville. Only 253 of the acres are in the southern, largely agricultural part of the county. The existence of surplus commercial and residential land in the county makes it unlikely the Campbell Center land will become shopping centers and subdivisions very soon. 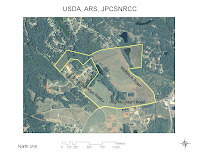 A seven-acre tract of land at the corner of Daniells Bridge Road and Hog Mountain Road–nearly surrounded by the USDA land–was rezoned for office park and business use in September of 2005 and remains undeveloped. The property is listed for sale at present. The long-term impact of the closing of the agriculture research center is another matter. Davis told me when I met with him in his office the next day that he had talked with staff of Sen. Saxby Chambliss about the importance of the Campbell Center to Oconee County. He sent me an email message the next day saying that he had forgotten to tell me he also had talked with staff of Sen. Johnny Isakson about the Center. The Center has been operating on a Agriculture Research Service budget allocation of $2.9 million per year, according to Fisher. Those funds have been supplemented by grant monies, he added. Since Oct. 1 of last year, when the current fiscal year began, the Center has been operating as if it would get $2.9 million again this year, Fisher said. Congress is still trying to agree on this year’s budget, six months into the fiscal year. 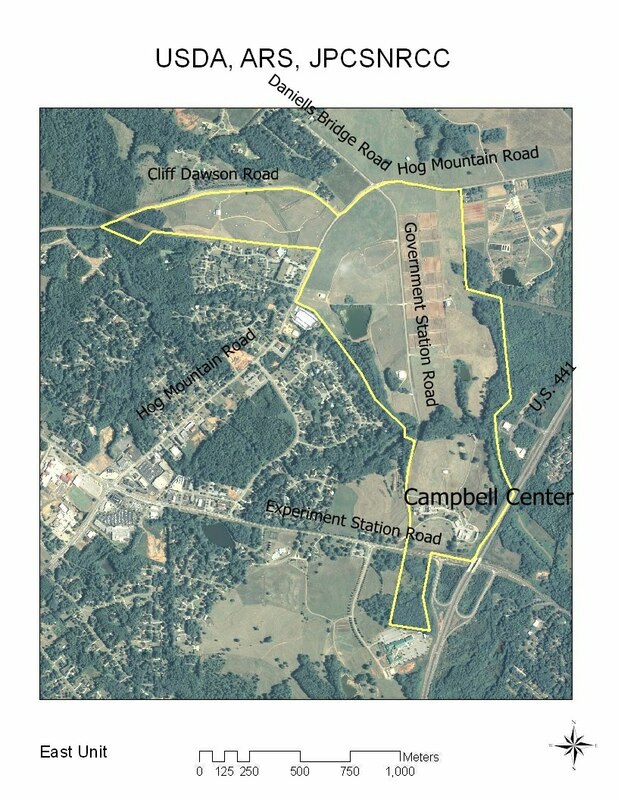 Oconee Patch broke the story of the proposed closing of the Campbell Center on Feb. 18. It followed on Feb. 24 with a second story about the uncertainty created for the workers at the Center by the possible closing. The Athens Banner-Herald had a story that same day. The Oconee Leader followed with a story the next day. 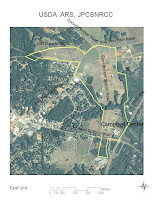 The acreage making up the Campbell Center is spread around the county, is generally unmarked, and is odd shaped, making it difficult for citizens of the county to know what will be affected. None of those stories contained maps or property descriptions. Fisher provided me with aerial photographs. I’ve labeled the roadways and included the photographs here. I’ve also matched the photographs with the county’s tax records and maps. The North Unit consists of four tax parcels totaling 276 acres. It is north of Hog Mountain Road and mostly between Daniells Bridge Road and Welbrook Road. The East Unit is mostly south of Hog Mountain Road, though it does include a spur north of that road along Cliff Dawson Road. 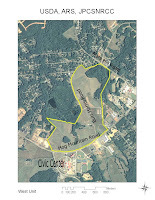 It consists of 333 acres and includes the headquarters of the Campbell Center at the intersection of Government Station Road and Experiment Station Road. The East Unit is mostly northeast of Experiment Station Road, except for a 15-acre parcel between the entrance to Gainesville State College Oconee Campus and U.S. 441 Bypass. The West Unit is on Hog Mountain Road North of the Civic Center. It straddles Burr Harris Road and runs through to Mars Hill Road. It consists of 245 acres. The South Unit is on Colham Ferry Road south of Coventry Road. It is made up of 253 acres. According to the tax records, the total property is valued at $15.7 million. Fisher said the Center has been awarded a $250,000 federal grant to look at crop rotation techniques for organic grain crops, and he and had hoped to launch that on the West Unit this year. No pesticides have been applied there for five years, he said. The research being done at the Center is important for Oconee County and the region, he said. “There are so many reasons why local products are better” than imported ones, he said, and the research at the Center focuses on local crops, soils and techniques. The Center also is home to a cattle herd, now consisting of 300 cows and approximately 300 calves. The cattle are a very common sight for those who drive along Hog Mountain Road. The herd, Fisher said, technically is owned by the University of Georgia. When cattle are sold, the money goes into an account in the College of Agriculture and Environmental Sciences, he said. Dean J. Scott Angle of the UGA College of Agricultural and Environmental Sciences and a resident of Oconee County, confirmed that arrangement. If the Campbell Center closes, the cattle will be broken up. The UGA 90-acre Horticulture Farm on Hog Mountain Road abuts the East Unit of the Campbell Center. Angle told me in a telephone conversation on Friday that the University is interested in the Campell Center land if the Center closes and the land becomes available. 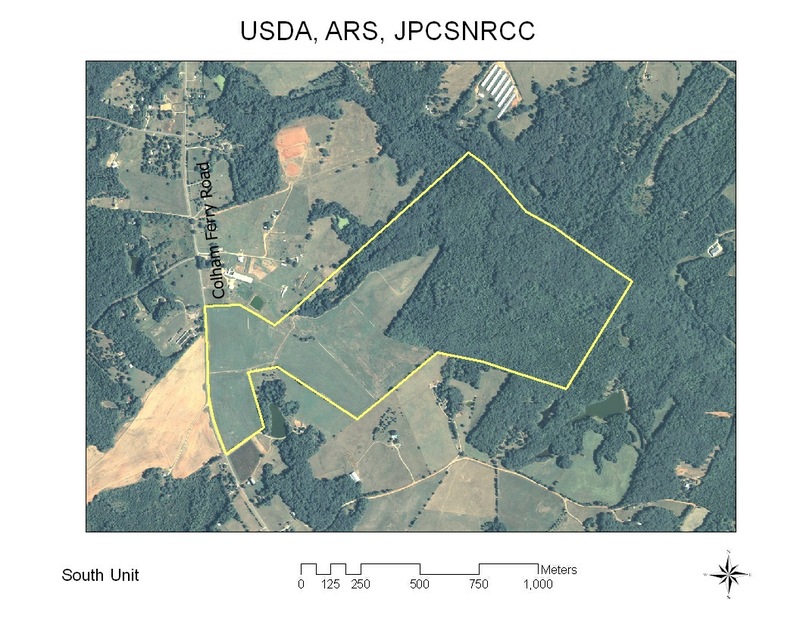 If the federal government decides to close the Oconee research center, the land would become available to federal and then state agencies before it would be sold to the public, Fisher said. 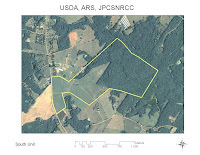 The agriculture college also operates its Plant Sciences Farm on 524 acres on Hog Mountain Road and Snows Mill Road across from North Oconee High School. 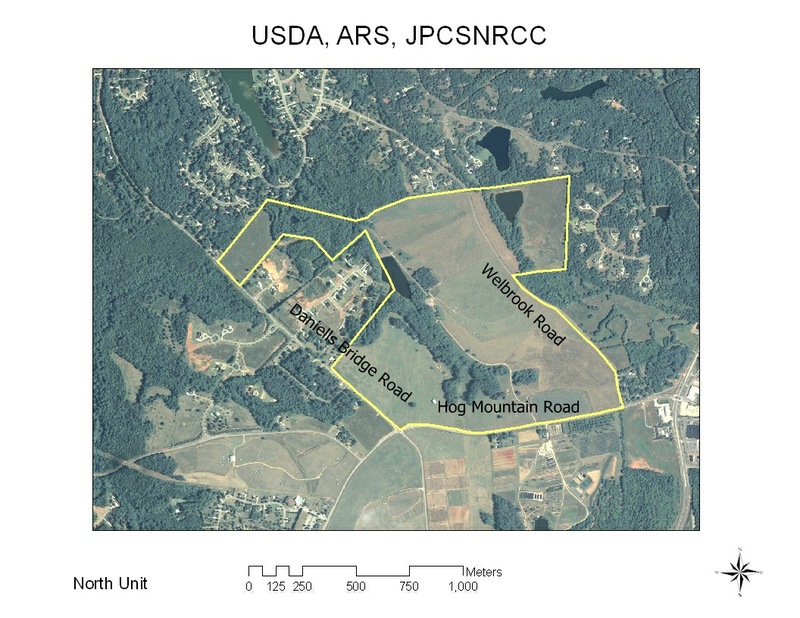 The UGA College of Veterinary Medicine has a 209-acre farm on Rose Creek Drive in the southern part of the county. The University System of Georgia also has 109 acres on Astondale Road, south of the Veterinary Medicine farm, that is used as the Equestrian Complex by the UGA Athletics Department. While working on this story I heard from two sources, one in development and the other associated indirectly with the university, that the Plant Science Farm is on the market. He also told me he was the person at the university who could tell me if the rumor was correct. I asked him when he might be able to comment. “Hopefully some time this year,” he said. Fisher assumed the job as research leader at the Campbell Center in February of 2009, just after the Center learned it would survive the last threat to its existence. It had been slated to close at the beginning of the budget year in October of 2008.